We start the process off at GroCycle Urban Mushroom Farm by mixing recycled coffee grounds with Oyster mushroom spawn under ideal conditions. We then ship a kit out to you for the fun part! See what we thought below. We are a family who love the great outdoors and each year we try and attempt to grow our own fruit and veg. This year, we have tried to grow runner beans, mini corn, tomato’s, peppers and cucumbers. I have had 2 cucumbers off my plants, few tomatoes (but more to come), no peppers sadly and the corn is still growing. 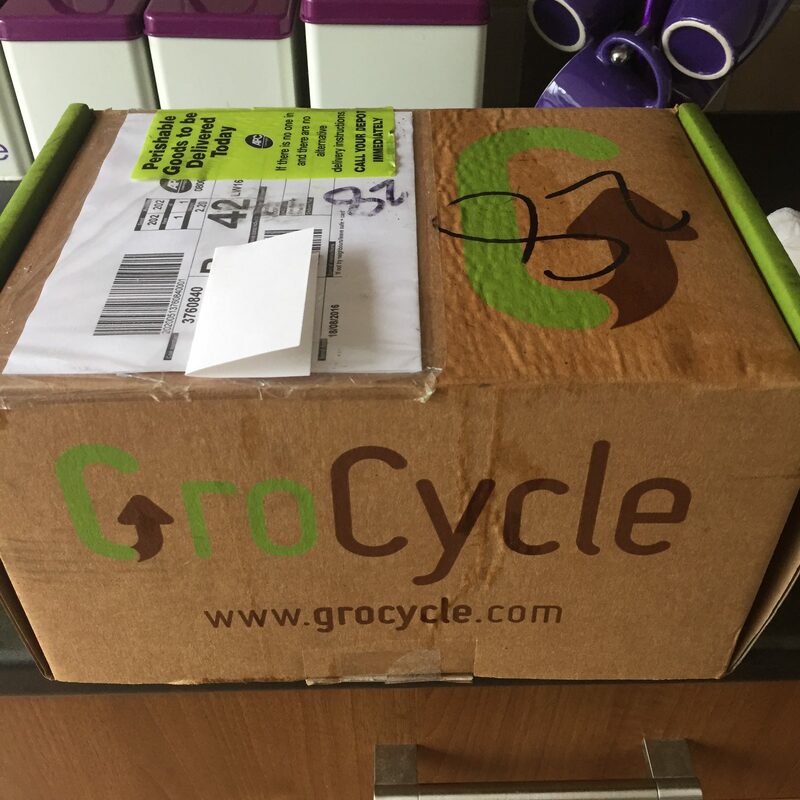 When grocycle got in contact and asked if we wanted to review and grow our very own oyster mushrooms we couldn’t say no. I have never really liked mushrooms, don’t know what it is about them but I have tried them many times and just can’t eat them. The parcel arrived a few weeks later but was left outside my house in the pouring rain but luckily it survived and no damage was sustained to the packet inside the box. My nephew Jack was super excited to help me set this up and watch it grow. 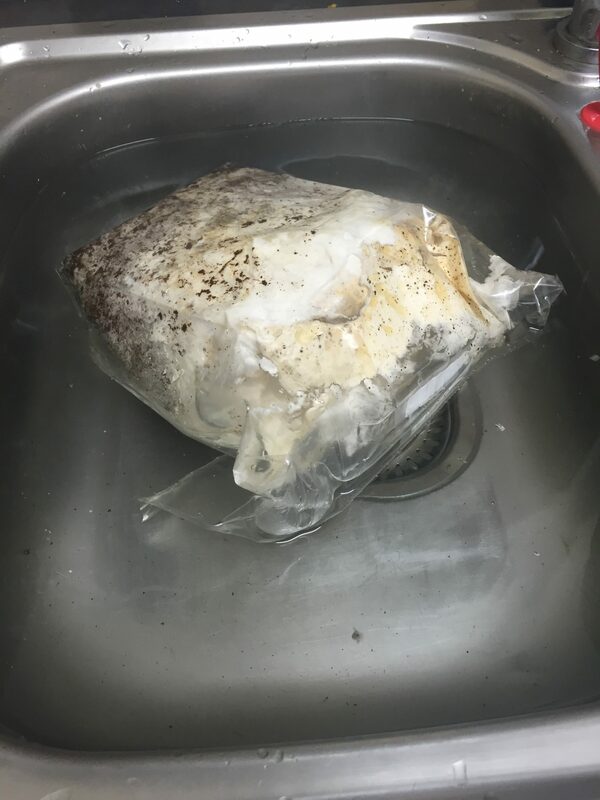 We then had to unpack it and made a cross in the plastic without damaging the soil and submerged & soaked overnight in water. 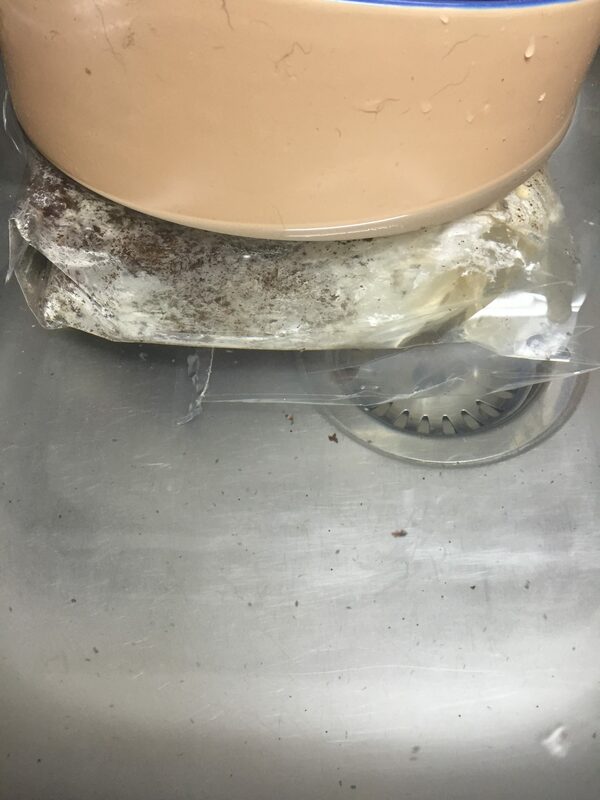 I had to place the dogs ceramic bowl on top to keep the pack under the water. Morning arrived, and I drained the bag and placed it back in the box as required. I placed it on the window sill in the kitchen where it would get light but not direct sunlight to help and allow the mushrooms to grow. Days 1-7 – We started seeing sprouts and movement in the soil. 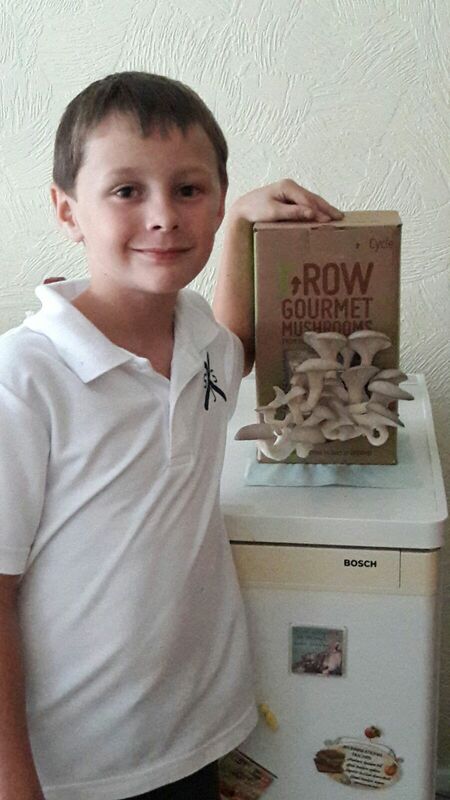 My nephew loves mushrooms and was super excited to see and watch them grow. 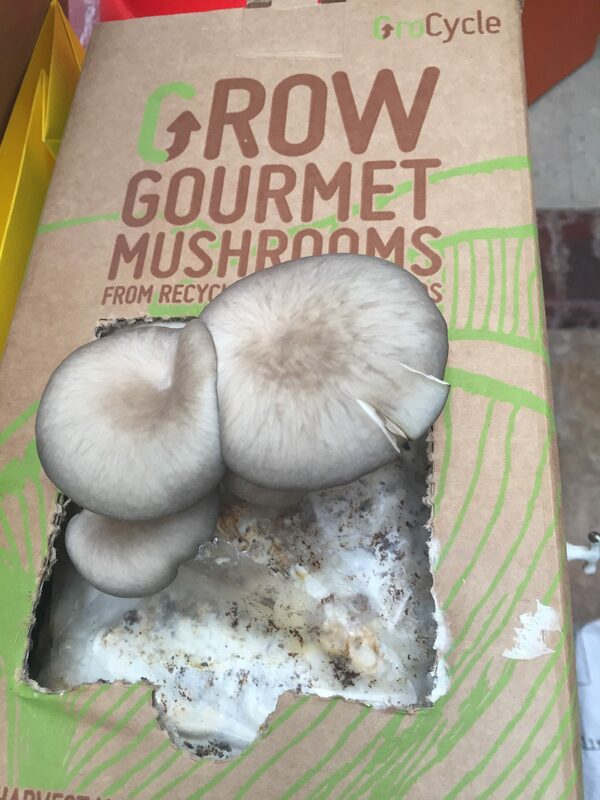 Day 8+ – We harvested the mushrooms that had grown ready to eat throughout the next few days. We got 2/3 big harvest of mushrooms off it. 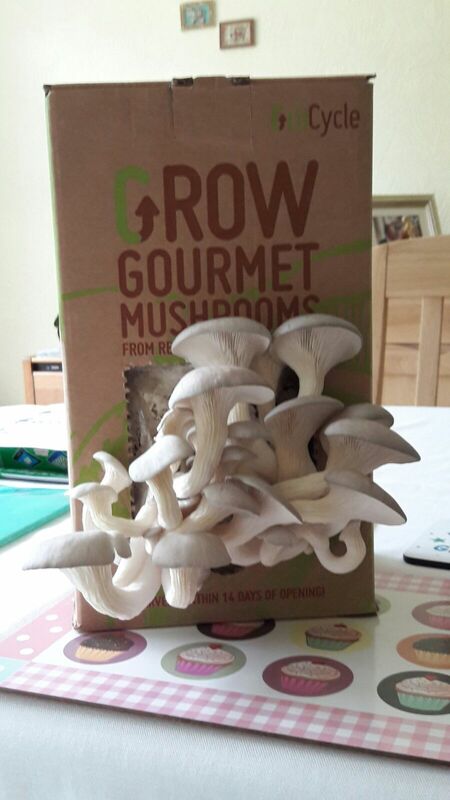 Once we had harvested all the mushrooms, we left the box as suggested for 2 weeks, then started watering it again and we started the growing process all over again. We have now harvest all the mushrooms and will leave the box alone for 2 weeks and start the process all over again. Day 1-7 – The mushrooms started growing again, which was really exciting. Day 8+ – We didn’t get as many mushrooms the second time round but we got a few so once we picked them, that was it, no more home-grown mushrooms. This was fascinating process to watch and I would buy these again to grow. 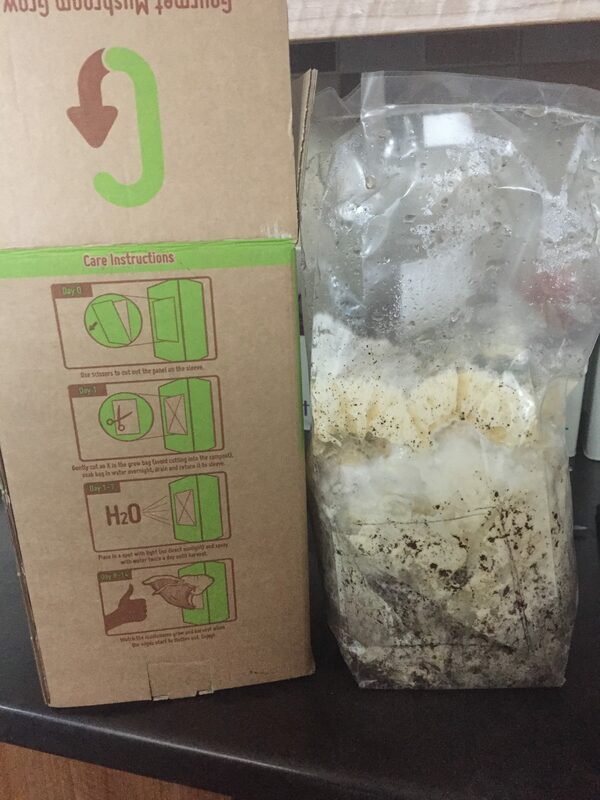 It is fascinating how mushrooms can grow from coffee like this, and all recycled, great for the environment. 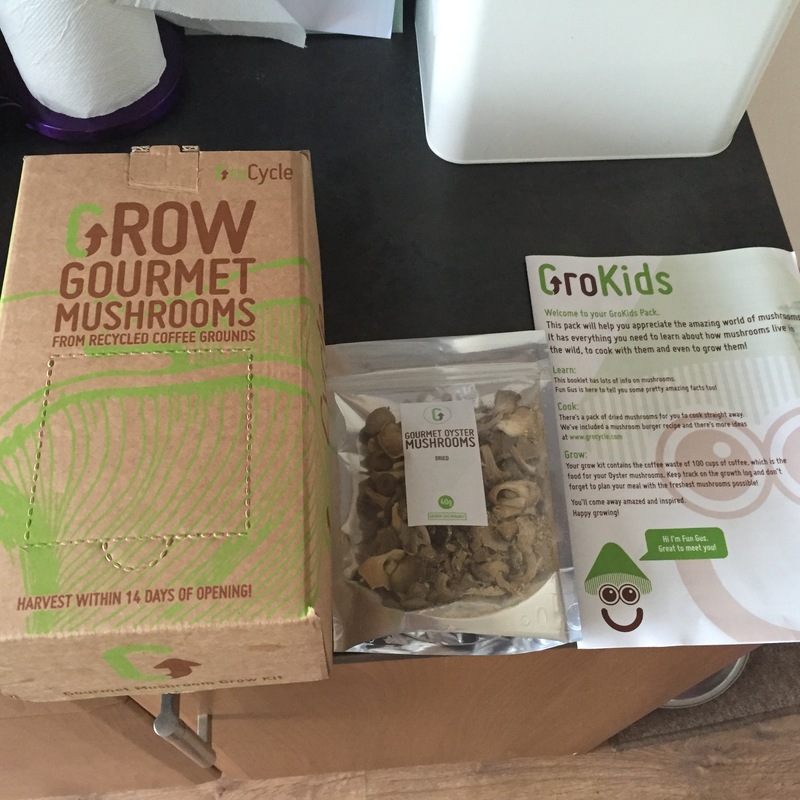 Don’t forget if you would like to get your hands on your very own growing kit visit their website here, the kits start from £16.00 each. * We were sent this product free of charge for the purpose of the review, however all thoughts, opinions and photos are my own.